So we still have some ways to go but things are coming along. Please feel free to join us on our Facebook OpenPeg Group to either watch for new stuff or develop and share your own OpenPeg modifications. Open Peg vertical build system involves pinning together three plates that allow it to insert a building shell while leaving a shelf on top to place the next building shell level. 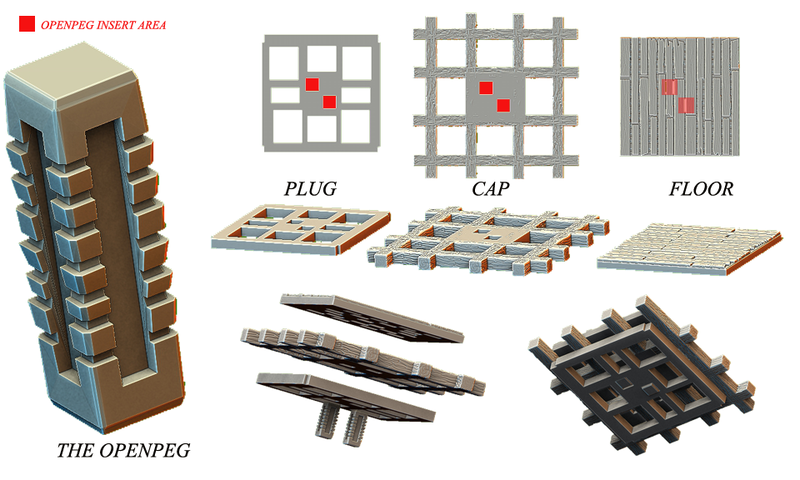 The three plates and pin are referred to as the plu­­g, the cap, the openpeg, and the floor. The OpenPeg is simply the pin that holds the three plates together. They are available in different heights or you can just adjust the length by scaling on your build plate. You can use a regular smooth surface peg or the serrated one pictured above. Hell, make your own out of wood if you want to. The smooth peg comes in two sizes, one is 2% smaller than the other. The smooth peg can be easier to get in and out but it is easier to break and tends to ware out after a couple uses and quits holding plates well, making pegs with denser fills can mitigate some of this. The serrated plug is sturdier. If it doesn’t fit well, you can usually just sandpaper the serrated edges. Often wiggling the peg back and forth can help it go in because the serrated layers are off-set very slightly from each other. The disadvantage of this plug is that it will not come apart sometimes. Which is great if you want to keep it together. Depending on the variances you may need a 1% or 2% scale variation to give the peg a tolerance that you prefer. 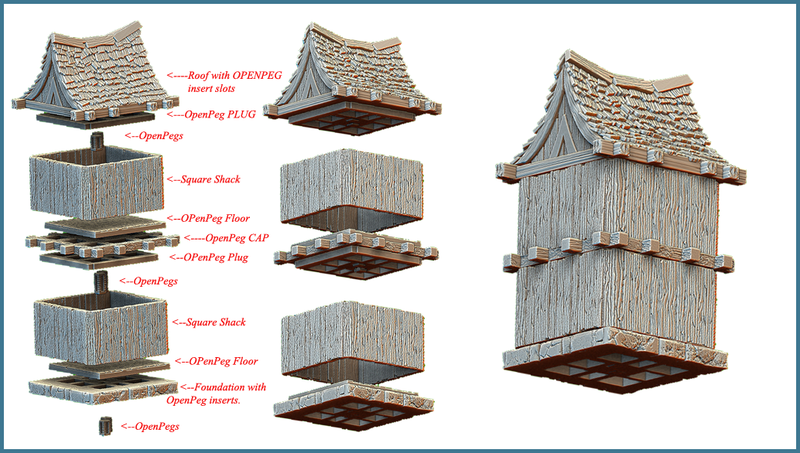 The Open Peg vertical build system will be totally open source and open for community development. The plug is the bottom layer and is the most universally applicable of the three layers, it “plugs” into the top of a building. The plug is usually selected according to the size of the building it is inserting into. 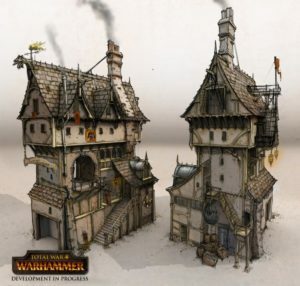 However, if you are stacking a smaller building shell on a larger building shell, than the plug should match the top building. This will leave a space that a smaller partial-roof assembly can be plugged into. This also applies if you are doing perpendicular stacking. For example, if you had two rectangles and stacked them across each other instead of parallel, than you would likely use a square plug even though neither layer is a square housing shell. Just start simple and you will figure it out soon enough. It is not super intuitive but it is not brain surgery either. The cap is the center layer and is the part of the plate stack that will show on the outside of the building. The Cap provides the most creative options for interesting transitions between building layers, the cap layer will often involve many variations but will typically match the size of the building shell being placed on top. Most commonly there is only one cap layer but there can be multiple cap layers depending on the effect you are going after. For now, our skirt roof design provides the simplest example of a double cap design. The advantage of this is that it provides 360-degree building detail without requiring supports. The floor is the top layer and works with the cap to provide a shelf that prevents the top building shell from sliding off the top. The Open peg inserts are typically shallow and do not go through the entire layer. I usually put the pegs through the cap layer, then I attach the plug, lastly, I snap the floor on. Since the floor layer is closed on top it is easiest to have some extra plug exposed on the floor side and use the floor layer to push the pegs into place. 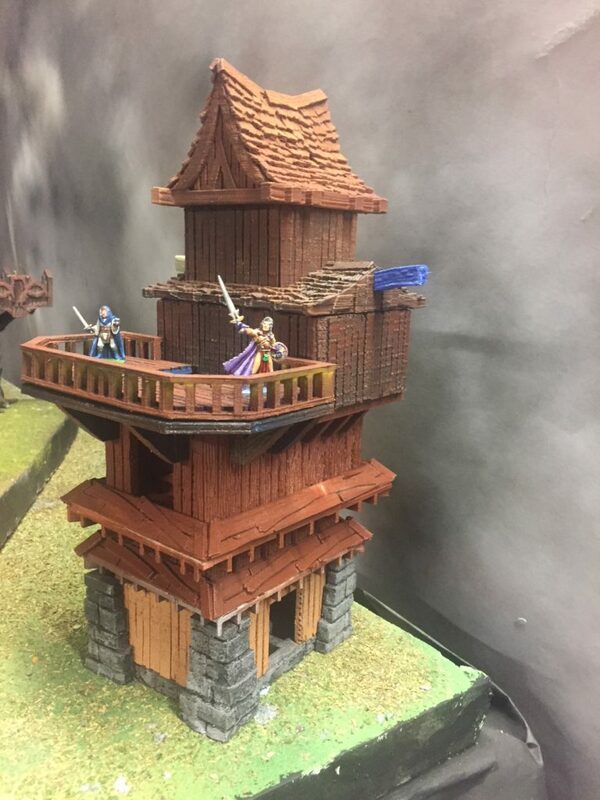 Here is a video of me messing around with some open peg build plates for a bunch of parts I redid and will be releasing for “Stronghold on the Borderlands” . I’ll make a better one soon.